Councillors asked to consider ‘future development opportunities’ for town’s markets – again. The future improvement and development of Wrexham’s two indoor and outdoor markets could once again be up for debate in the not so distant future. A topic request form submitted by Steve Bayley, head of housing and economy at Wrexham Council, has requested that the General, Butchers and Monday Market are discussed by members of the employment, business and investment scrutiny committee. The future regeneration and use of the town’s historic markets have been subject to many many hours of discussion over previous years, with varying degrees of success in terms of actual outcomes. Just this week a debate took place in Ty Pawb over Wrexham’s future as a modern market town – however several market traders have since told us they were not invited to the (public) meeting. Back in 2013 Wrexham Council reaffirmed its commitment to the ‘investment and improvement‘ of what was then three indoor markets with the old Peoples Market – with a series of reports since presented to councillors on how such targets can be brought to fruition. One of the key changes to the town’s markets in that period has been the redevelopment of the People’s Market into what is now the multi-million pound arts and markets space Tŷ Pawb, with the seeds of that idea apparently found in the consultants Quarterbridge report which recommended ‘introducing a cultural component to broaden the offer’ of the Peoples Market. Wrexham.com FOI’ed for a copy of the report, however it has been deemed commercially sensitive and was not released. Back in 2014 Wrexham Council’s own archaic policies prevented some forward thinking, with a standalone market website vetoed as it went against IT policy. Nearly three years ago Wrexham Council published its Strategic Asset Management Plan 2016-21 (SAMP), a ‘critical appraisal’ of the three town centre indoor markets, 24 retail shops and the outdoor Monday market. At the time it was estimated that over the next five years, to comprehensively refurbish the property to an overall standard that would be considered ‘excellent’, in the region of £128,000 for the General Market and £290,000 for the Butchers Market would need to be spent. The kicker was the description of the plans as ‘aspirational’ rather than firm and funded. Funding was to be found by surpluses generated by the markets to be reinvested, however at the time that figure was projected at £12k for the first year – a long way off the overall dream. Last year Wrexham.com reported that an update on the progress of the SAMP was presented to councillors, with recognition of some successes and the ongoing work ahead. During the meeting the committee were told that WiFi had finally been installed in the General and Butchers Market at the cost of £28,607. It was later revealed that this was a part-cost of an overall bill as it was part of the Tŷ Pawb installation although the exact split does not appear to have been revealed. During the meeting it was explained that a new CCTV system is on the cards for 2021 and that the overall marketing budget for promotion had been upped to £10,000. One suggestion floated last summer was to increase ‘dwell time’ from visitors – something which could be achieved by removing some of the stalls from the middle of the Butchers Market and create a space that could be used in creative ways to entice people to stay in the building longer. A similar model is in place just up the road at the recently rejuvenated Chester Market, with the committee told at the time that if implemented in Wrexham people will shop as well as sit down and have a cup of tea, listen to music or take part in specific events. However the committee was told that conversations with traders had led them to pursue attempts in occupying the stalls before removing them to make way for seating areas. There was also positive talk about the outdoor Monday Market, with the aim to extend it if possible, and attract new traders rather than move people from their historic good performing pitches. 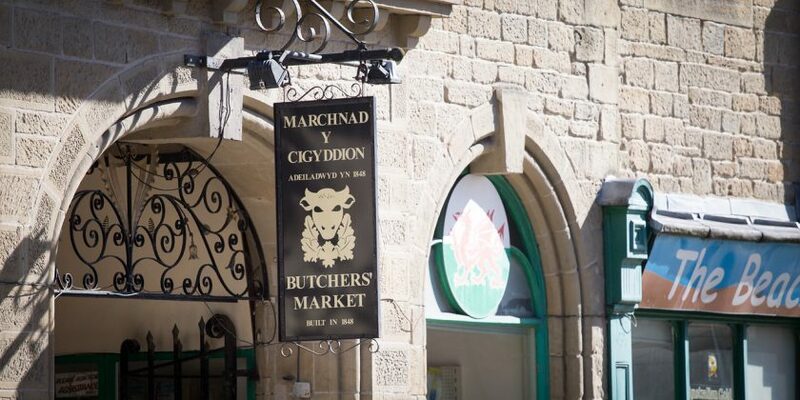 The topic request submitted for potential scrutiny, asks that the committee to: “Consider the future development opportunities for the two grade 2 listed indoor markets (Butchers Market & General Market) and the outdoor Monday market. “To consider their performance, their achievements, and their value as a regeneration tool for the Town Centre, their appeal as a destination for visitors, their future sustainability and potential interventions required. The topic request form is expected to be discussed by members of the employment, business and investment scrutiny committee at a later date. Previously committees have invited trader representatives with none attending, and recently non-council representatives have attended a scrutiny meeting but walked out without being called to speak, audibly branding it a ‘waste of time‘. As an aside, the annual performance monitoring report to document the first year of Tŷ Pawb is currently scheduled to take place on June 13th 2019 however that is no longer considered as part of ‘the markets’ by the council documents, rather a separate entity.